Also serving communities of North Myrtle Beach. There are 6 Memory Care Facilities in the Myrtle Beach area, with 3 in Myrtle Beach and 3 nearby. The average cost of memory care in Myrtle Beach is $3,066 per month. This is lower than the national median of $4,650. Caring.com has helped thousands of families find high-quality senior care. To speak with one of our Family Advisors about memory care options and costs in Myrtle Beach, call (855) 863-8283. Myrtle Beach is a city along the Atlantic Coast of South Carolina with a senior population of around 5,247, many of who have been diagnosed with Alzheimer’s disease or dementia. To accommodate these individuals there are eight memory care facilities in the area, including in places like Conway and Murrells Inlet. In Myrtle Beach and the rest of South Carolina, memory care facilities are called Alzheimer’s special care units (SCUs). These include stand-alone facilities or a designated area within an assisted living community. 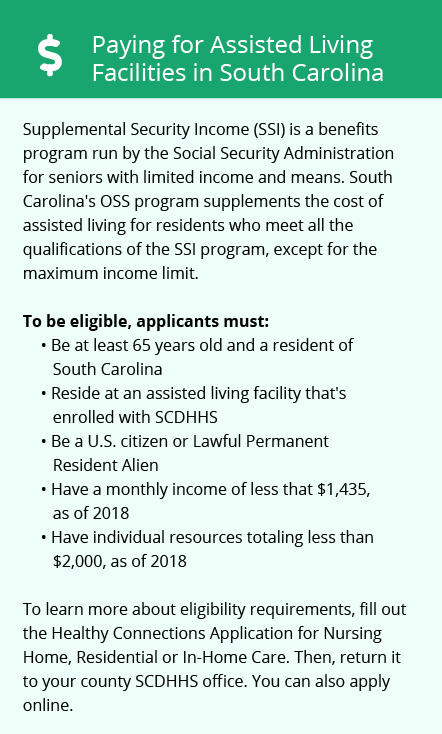 The lack of income tax in South Carolina and Myrtle Beach on Social Security retirement benefits and incomes up to $15,000 leave more money for seniors to pay for memory care. The overall crime rate in Myrtle Beach is 433 percent higher than the national average. Seniors and other residents have a one in seven chance of becoming a victim of any type of crime, which means caution should be taken when outside of a facility. Myrtle Beach is home to world-class medical facilities, including those specializing in brain health and dementia care, such as the Grand Strand Medical Center and the VA Medical Center, in the event of medical emergencies or illness. The cost of living in Myrtle Beach is 90.3. This is slightly lower than the state average of 94 and lower than the national average of 100. This makes it easier for seniors on a budget to make ends meet and have more left after paying for necessities. Summers in Myrtle Beach are hot and humid with average highs around 88 degrees. Summers are short and cold with average January lows around 35. The city rarely gets snow, which makes it ideal for seniors who are sensitive to extremely cold temperatures. Memory Care costs in Myrtle Beach start around $3,066 per month on average, while the nationwide average cost of memory care is $4,799 per month. It’s important to note that memory care rates in Myrtle Beach and the surrounding suburbs can vary widely based on factors such as location, the level of care needed, apartment size and the types of amenities offered at each community. Myrtle Beach and the surrounding area are home to numerous government agencies and non-profit organizations offering help for seniors searching for or currently residing in an assisted living community. These organizations can also provide assistance in a number of other eldercare services such as geriatric care management, elder law advice, estate planning, finding home care and health and wellness programs. To see a list of free memory care resources in Myrtle Beach, please visit our Assisted Living in South Carolina page. 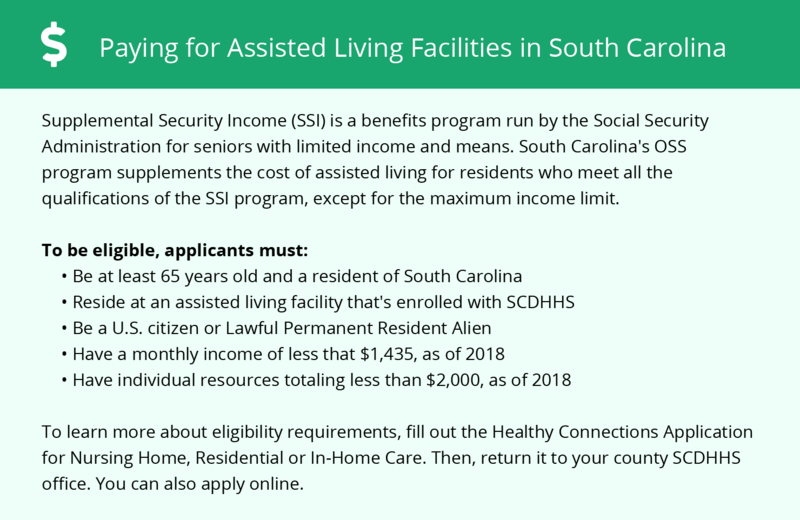 Myrtle Beach-area assisted living communities must adhere to the comprehensive set of state laws and regulations that all assisted living communities in South Carolina are required to follow. Visit our Memory Care in South Carolina page for more information about these laws.